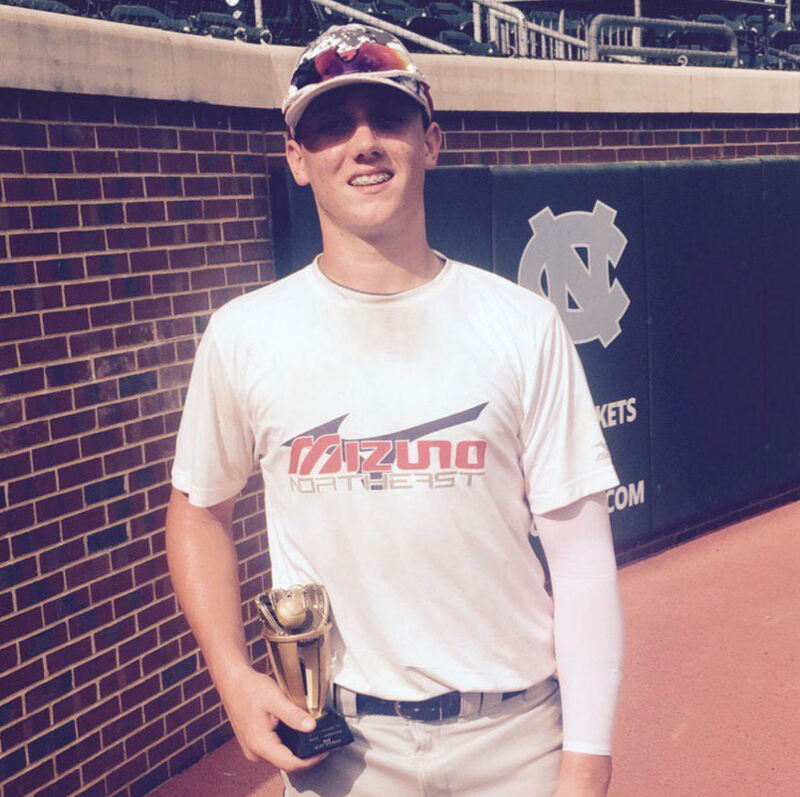 The 2017 campaign ended on a high note for Team Mizuno Northeast 14U (Price). 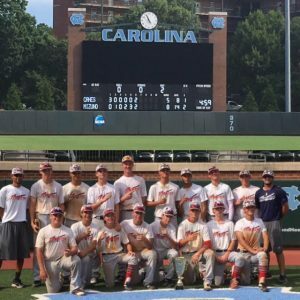 The 14U squad traveled down to the University of North Carolina Chapel Hill to compete in the 14U Dynamic World Championships from July 28th-August 1st. The tournament boasted several nationally ranked 14U teams from the south. Leaving the event, the team held an overall 42-14-1 record. They were an EBL Semi-Finalist, AAU International Qualifier Champions, Top 30 team at Perfect Game WWBA, Quarter Finalist at the Super East Memorial Day Classic and a Dynamic World Champions. Game 1 of pool play had them opening up against Evoshield Canes Stokely. TMNE won 12-3 by way of mercy. Nick Gleason got the start for TMNE. Gleason struck out 4, walked 4 and allowed 3 runs in 5 innings of work. Tyler Nielsen came on in the 6th for one inning of work striking out 1. Offensively, Andrew Eppinger led a barrage of hits for TMNE with 3 hits in the game. Also contributing to the hit parade was Connor Hujsak (2 Hits), Domenico DeLuca, Andrew Florio, John West and Tyler Mudd – all with a hit a piece. In Game 2 vs Evoshield Canes Golinsky, Carson Hauben took the bump. Although the game resulted in a 4-4 tie, Hauben went 6 strong innings – pitching out of jams all day. Hauben allowed 4 hits, 2 earned runs and had 8 punch outs. Jordan Kjoniksen had a huge two triple in the 4th to knock in Riley Greenwald (1 walk, 1 Run scored) and Ryan Conant (1 hit, 1 walk, 2 runs scored). Hauben drove in the other two runs in the tight game. The game was called in the 6th due to time limit. TMNE then sent Alex Zidonis to the mound vs Rawlings Prospects in Game 3. 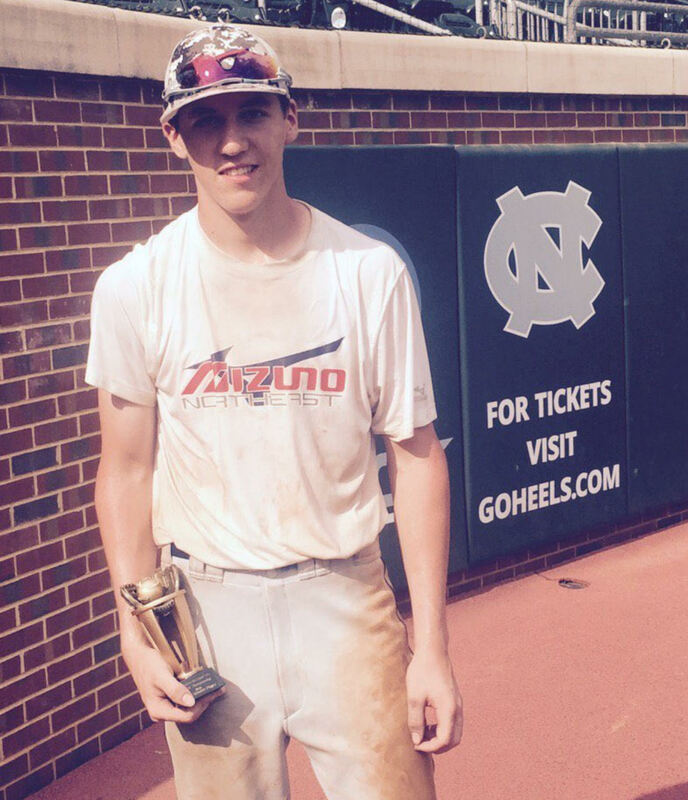 Zidonis chucked 6 innings in the timed out game – earning the win with a superb performance. The 6 foot righty, allowed 2 runs on 2 hits, 1 earned run, 3 walks and 8 Ks. Zidonis was supported by a strong offense led once again by Andrew Eppinger (3 hits, 2 runs scored, 2 RBI and a stolen base). The team collected 10 hits in the contest. Major contributors were Domenico DeLuca, who delivered with a game tying double in the 5th and John West who had a two-out bases clearing double which served as the nail in the coffin for Rawlings. TMNE took the game 7-2. In Game 3, TMNE match up against nationally ranked Evoshield Seminoles at Granville Athletic park in Durham. The game ended in a 4-4 tie and lefty, Tyler Nielsen took the bump hoping to quiet a strong Seminoles offense He threw 6 innings, scattered 9 hits, allowed 4 runs on 4 hits, walked 2 and collected 1 strikeout. Andrew Eppinger had another 3 hit game with 2 RBI. Tyler Mudd (1 RBI) and Connor Hujsak (2 RBI) both had a pair of hits in the game. Domeico DeLuca and Andrew Florio also contributed with hits in the game. Despite the tie, TMNE remained undefeated and was awarded the number 1 seed in the playoff round. Connor Hujsak was given the ball in the semi finals against 4th seeded and the very dangerous Evoshield Seminoles team. Hujsak baffled the Seminole hitters, throwing 6 innings. He allowed 6 hits, 2 earned runs, walked 3 and struck out a tournament high 10 runs. Andrew Eppinger once again lead a potent offense with 2 hits, 3 RBI, 1 run scored. Christian Siciliano, Charlie Farrah and Ryan Conant had clutch at bats to ignite the TMNE offense in the decisive bottom of the 6th inning with the squad chasing a pair of runs. Domeinco DeLuca, Andrew Eppinger, John West and Andrew Florio all had key hits with two outs in the innings to put TMNE on top for good – 8-3. 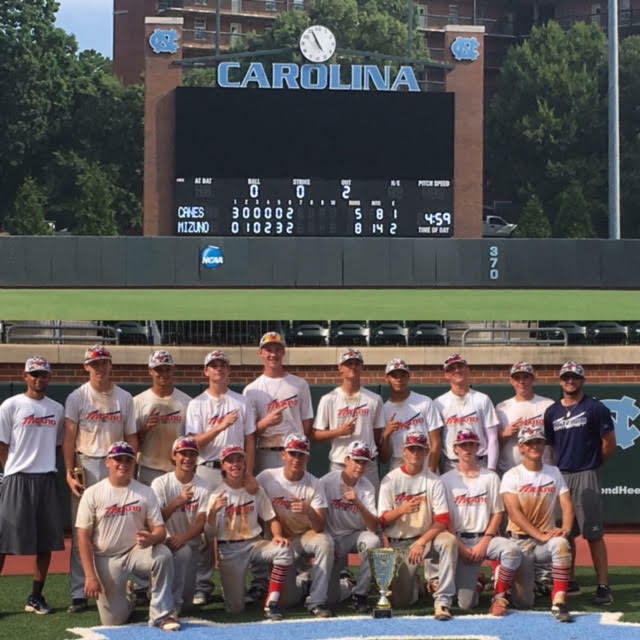 Team Mizuno Northeast won 7-3 advancing to the Dynamic 14U World Championship Final at University of North Carolina. TMNE went into the championship game with a 4-0-2 record, batting .348 (54/155) and an on base percentage of .495. The squad also held a team ERA of 3.50, struck out 40 batters in 38 innings and held teams to a .255 batting average. In the championship game, TMNE went back to Game 1 starter, Nick Gleason on the mound. Despite being down 3 runs, the team battled to win the game 8-3 in a complete team effort. Jordan Kjoniksen came on if relief for Gleason and threw 3 innings, allowing no runs on 1 hit and 1 walk. Kjonisken struck out 3 in his relief appearance. Eppinger had another stellar game going 2 for 3 with 2 RBI and a walk. Domenico DeLuca, John West, Andrew Florio, Lucas Aguayo-Garber and Christian Siciliano all had key hits in the game to help TMNE win the championship. 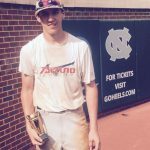 Offensively, the team was led by Andrew Eppinger who was awarded by Dynamic Baseball, Tournament Hitting MVP. Eppinger went 13 for 19, batting .684, had 9 RBI and an on-base percentage of .727. Connor Hujsak was awarded Tournament Pitching MVP. Hujsak threw a total of 7 innings, striking out 11 (set tournament single-game record with 10), walked 3 and held offenses to a .259 batting average.